Google Maps can be a godsend for travelers visiting a new city or even locals wandering into an unfamiliar location. However, at least according to a commercial court in Paris, offering this service for free constitutes unfair competition and thus the company must now pay upwards of $660,000 in damages and fines. The complaint was brought against Google a couple of years ago by Bottin Cartographes, which offers mapping services to businesses for a fee. The French company argued that Google's strategy was aimed at undercutting competitors by temporarily swallowing the full cost until it gains control of the market. "We proved the illegality of [Google's] strategy to remove its competitors. The court recognized the unfair and abusive character of the methods used and allocated Bottin Cartographes all it claimed. 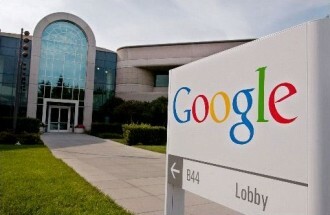 This is the first time Google has been convicted for its Google Maps application," the company boasted in a statement. Bottin is set to receive $660,000 in damages and interest from Google, while the search giant must pay an additional $20,000 fine. Of course, Google said it will appeal the court's decision, adding that a free high-quality mapping tool is beneficial for both Internet users and websites, and that there is still plenty of competition in the mapping business both in France and internationally.